Throughout history, the world has been influenced by a number of amazing people who have left an unforgettable mark behind. A mark that people will talk about for centuries to come, allowing their stories to influence the future as well as the past. Many legends have come and gone through the years, the most recent being Stan Lee. 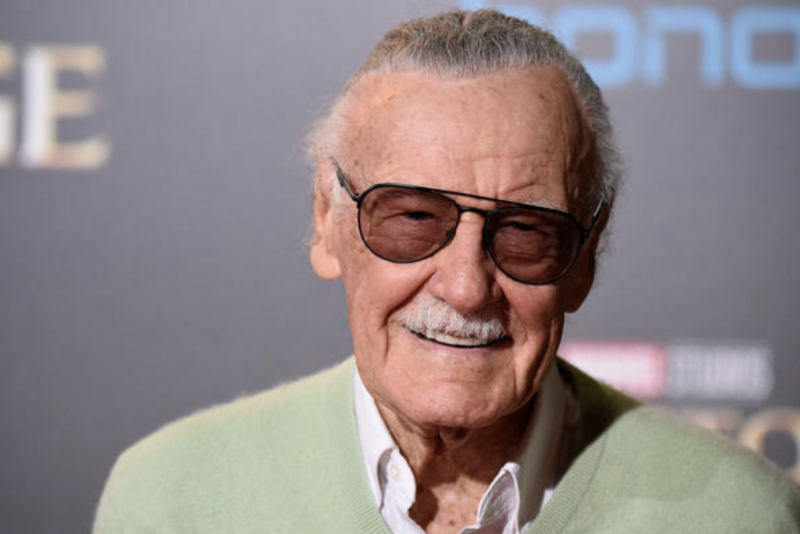 On Monday, November 12, Stan Lee passed away at the age of 95. He was, and will continue to be, a global icon who touched billions of lives. Stan Lee was the creator of some of the biggest superheroes and superhero groups known today. Spider-Man, Iron Man, Captain America, The Hulk, Thor, Black Panther, The Guardians of the Galaxy, and The X-Men are only some of Stan Lee’s creations. Stan Lee started his comic book career in 1939, working with Timely Comics. In 1961, Timely Comics changed its name to Marvel, and within the same year, Stan Lee created his first superheroes: The Fantastic Four. At the time, Marvel was competing against D.C. in the comic book business and, luckily, they had the brilliant Stan Lee on their team. Comic books used to be targeted towards children, and most adults didn’t take them seriously. However, Stan Lee saw their potential and not only changed the comic book business, but the superhero genre as a whole. He created complex storylines and characters that could be enjoyed by anyone of any age. Comic books soon started to gain recognition by the world and superheroes became a huge aspect of pop culture. After the success of The Fantastic Four, Stan Lee went on to create other iconic superhero stories. He quickly rose to the top of Marvel and became the company’s editorial director and publisher. In 2008, the Marvel Cinematic Universe (MCU) was created along with the first Iron Man film. The MCU would go on to make some of the biggest movies in the world, with Black Panther setting records on a global scale. This would allow Lee’s legendary work to reach audiences who weren’t alive during the 20th century as well as those who simply never got a chance to read the comics. The movies added a new layer to Stan Lee’s inspirational stories. Now, kids are offered the opportunity to enjoy the same stories their parents had once read during their childhood. By translating Lee’s stories to film, they were able to reach a whole new audience and turn something old into something new. Stan Lee’s work touched billions all around the world. He turned normal people into superheroes, and that made his readers feel special. One can relate to his characters, envisioning themselves in a hero’s shoes. Spider-Man is just a nerdy kid who happened to get bitten by a radioactive bug; what superhero fan can’t relate to him? Stan Lee turned superheroes into people. He gave them faces behind the masks and, suddenly, you were more invested in Tony Stark than Iron Man. You wanted to see more of Steve Rogers and Bucky off of the battlefield. Stan Lee made you care about each character individually. He personified the character behind the mask and turned the word superhero into something much more. He created stories that have never been told before. Ones where viewers could imagine themselves as the hero or heroine of the story. That’s a magic power that very few possess, and Stan Lee was one of the few wizards who knew how to wield it. Stan Lee changed the world and he will be greatly missed. His legacy will be remembered for centuries and will continue to impact the world in fantastic ways. There is no one else like Stan Lee, and there never will be. He was one of a kind, and the world will make sure that he is remembered as one of the greatest superheroes to ever live off the page. Stan Lee left his unforgettable mark on the world. He will live on in the stories he’s told, and the stories that others have yet to tell. Stan Lee may be dead, but he is far from gone, and the world will make sure of that in the years to come. Stan Lee at the Doctor Strange premiere in 2016.